Have you ever used acrylic inks? 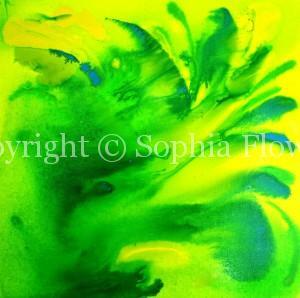 They can be used on their own or as a background to oil as well as wet onto a dry background. Of all the acrylics available, these are the most fluid and come in a glass bottle complete with dropper. They are exciting and vibrant to use with a mind of their own when used wet-on-wet, as they move and flow as they wish. However, when used on dry background, there is more control. Once dry, these inks retain their vibrancy and depth of colours. I particularly love using the Daler Rowney range which are also available in pearlescent colours.